The Summitt Beautification team received a Bright Green Futures Grant and now we are putting our plans in motion. We need your help and ask that you join us for a planting day on Saturday April 13th starting at 9 am. (If the weather doesn’t cooperate Saturday, the make-up work day will be Sunday, April 14th at 9am.) We will be planting native plants in various areas around campus to help our local pollinators. Please bring garden tools, gloves, sunscreen and plenty of water. We’ve got big plans, so please come out and help make our campus beautiful. Does your high school or middle school student need volunteer hours? We will have a sign up sheet and will email volunteers a record of their hours worked. If you have questions, email Mary Ann Thomas at Maryannthomas7479@gmail.com. Librarian Appreciation Week is (technically) this week! However, because of STAAR testing, the Summitt Appreciation Team has decided to acknowledge our amazing Ms. Richey, and her wonderful assistant, Ms. Alvarado, next week (the week of April 15th). These hard-working ladies go above and beyond to make Summitt a special place for our students, such as running an outstanding library, organizing Birthday Book Club, facilitating Math Pentathlon, and leading the GT program! Wow!!! Please help us thank them by having your student write a thank you note, either on the template found here, or one of his/her own making. Send the appreciation card to school next week so your student can hand deliver it to Ms. Richey and/or Ms. Alvarado. Last Call for postcards! We still need many more postcards to reach our goal. The Summitt PTA included two postcards in your student’s Monday folder. These postcards are for you to write your legislators in the Texas House and the Texas Senate. You can find your legislators here. Please include your name and address so they know you are a constituent. If you need additional postcards, you can print them yourself here. Deadline to turn your postcards into Summitt is April 15th. Postcards can be sent back to school in your student’s folder or can be delivered to the box in the Great Hall. For more information, email Heather Roell Oshman at summittvp2@gmail.com. What should you write about? There are several Texas PTA Legislative Priorities ranging from school finance to meaningful assessments to health and safety. Find one that speaks to you and why you support this issue. A couple of sentences is all you need. The 4th Grade Talent Show Come out on Wednesday, April 24th at 8:15 to see the amazing talents of our awesome 4th Graders. Please sign in at the office and join us in the cafeteria. Did you know that our Summitt students study 5 different languages during their years at Summitt? Please read the Spring FLEX Newsletter to see what your students are learning in their foreign language classes. Merci! The spring pictures came home on Monday, April 1. Parents now have the opportunity to purchase from the package and customize their purchase to meet their needs. There is no obligation to purchase and any unselected prints can be returned to the school. Students returning packages/money will receive a responsibility pencil from the teacher. Please return full picture package (do no wish to buy), partial picture purchase or full package purchase (with money enclosed) by Thursday, April 18, 2019. As we finish up this school year, now is a good time to start thinking about getting ready for next school year before you get caught up in all your fun summer activities. Summitt is partnering with 1st Day School Supplies again this year in order to provide the exact supplies next year’s teachers have requested from their school supply lists, all delivered to your child’s classroom in time for the 1st day of school. Save yourself the time of shopping for next year’s school supplies and support our school – each purchase through 1st Day School Supplies includes a donation to the school. The order deadline is June 30th! To order click here! Vietnamese translation is here. Lost and Found is Full Again! Please take a look in the lost and found for your student’s possessions. There are MANY coats, clothes, backpacks, lunch boxes and water bottles. The lost and found is located to the right of the front doors, in the music hallway, after you enter the building. All items not claimed by Thursday, April 18 will be donated!! Please note that parents are not allowed on campus during STAAR testing due to confidentiality and security. Please schedule lunch and appointments with your student on another day. The library will also be closed these days. This is for all grade levels due to testing groups in rooms throughout the campus. We still have 80% to go! Please consider placing a few dollars towards this cause to support our kids and prevent the summer slide getting them! Help Fund Summitt’s Reading Initiative by making a small donation here. Here is info on Research regarding the summer slide. We’d love for your students to be a part of the first ever Camp Summitt! Camp will be divided into two 1 week sessions (June 3-7 and June 10-14) from 9am to 3pm with extended hours available if needed. Proceeds from Summitt Summer Camp are used to fund school-wide needs such as technology, classroom materials and professional development. Click here for details and to register your child. Summitt T-Shirts Discounted to $5 each! The Girl Scout Troop 2028 is having a food drive for hungry people. They are doing this to earn another step toward the Philanthropist badge. The troop is trying to collect and donate food to a food pantry. If you are willing to donate, we would prefer canned items, unopened cereal, bags of fruit, peanut butter jars, and nuts. We are donating the stuff to Covenant church. Every Wednesday the food pantry will open up and let people have food. We are setting up a box in the great hall for donations. The deadline to donate is April 30th. Your donations make appreciation weeks possible! Pick an item from the Amazon Wish List and ship directly to: Appreciation Team, Summitt Elementary, 12207 Brigadoon Ln, Austin, TX 78727. Or contribute with ApplePay (512-731-7460), Venmo (@Rhubka), or cash/check (appreciationdays@summitteagles.org). Be sure to include your name on the order so we can say “thank you”! Speaking of Shopping on Amazon! PLEASE switch to Smile.Amazon.com with PTA Texas Congress 856 Summitt Elementary as the benefactor! It is free and easy and effortlessly raises funds for our Summitt Kiddos! 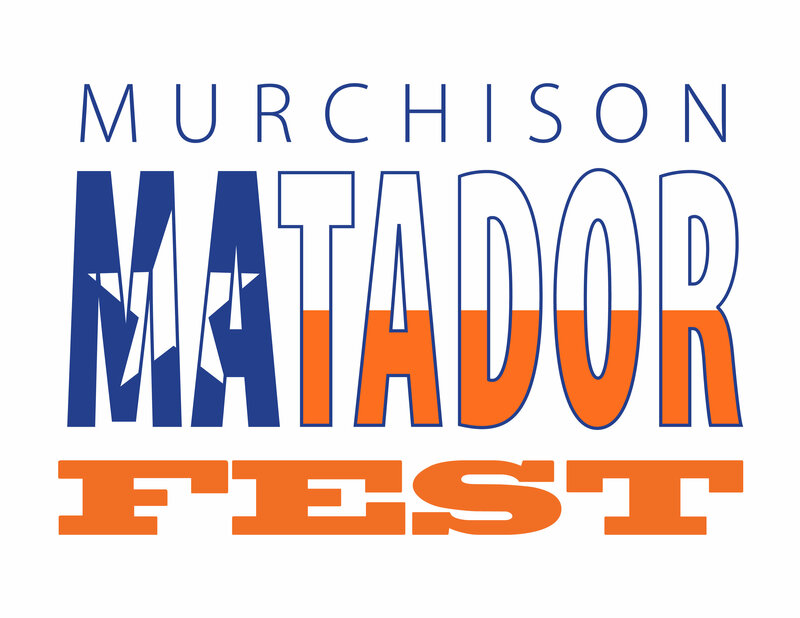 Matador Fest proceeds help to fund classroom supplies, books for the library, special curriculum enhancements, teacher training, direct teacher support and so much more! You and your students will not want to miss this fun evening on the campus grounds to eat dinner, have fun with friends, and support the Murchison community. Featured booths: Dunking Booth, Laser Tag, Inflatable Games, Gift Baskets, Bingo, and more! New this year… The Meltdown! Booths are 1-2 tickets to participate, Food 2-10 tickets, drinks 1 ticket. Tickets purchased online will be available for pick up at Will call the night of Matador Fest. Tickets can be purchased at the event as well. Tickets are $1.00 however can be purchased online at discount prior to the event. Online sales will end midnight Wednesday, April 10th! Are you able to volunteer or have a teen looking for service hours? Sign up to help and make this a fantastic event for the community! We are looking for donations for our bingo and gift baskets. If you are interested in donating items such as Local Sports Events Tickets, Small Electronics, Sports Equipment, Restaurant / Spa Gift Cards, fun new teen gifts, etc., please reach out to Lauren Ward. New format of one day only: Sat, April 13th from 8:30am-5:30pm. Take this opportunity to join a professional for focused time to declutter and organize your papers. Follow the link to the FaceBook event and get signed up! Spots are limited. Registration closes April 7th. Come join Balcones Youth Sports for our annual Spring Festival. This is our biggest fundraiser for the year. We will have Carnival Rides, Silent Auction, local vendors, our annual Coaches vs Alumni Game, and more. Wristbands are available for $20 and can be purchased in our BYS Store. Wristbands provide unlimited access to the carnival rides, and tickets will be available for purchase the day of for games to will Soda’s and Baked Items. Balcones Youth Sports is located at 3106 Adelphi Lane, with sidewalk access to the ball park. Are you a local vendor? Promote your business at our event. Purchase your booth at BYS Store and select Balcones Day/Event Sponsor. Contact Amy Noel for more information. Support the Anderson Wrestling Team and have your personal documents SECURELY shredded by Balcones Shred. Your confidential and old documents will be destroyed onsite. Donations will benefit the AHS Wrestling Team. See the here for more information. Join our vertical team schools at the 3rd annual TROJAN TREK fun run. This is a fun, family-friendly, 1 mile run at Anderson High School. Mark your calendars for the event. Looking for a Two Day a Week Preschool Option for Younger Kids? 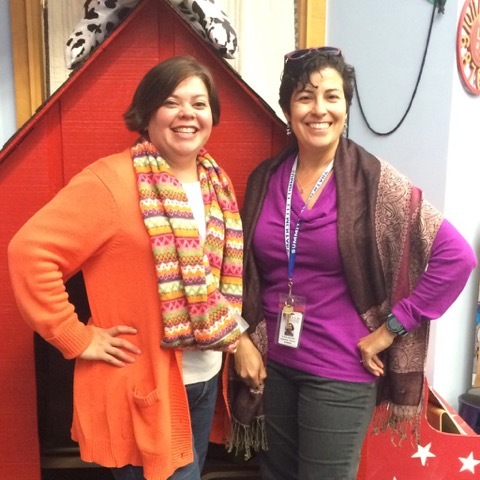 Check out Milwood Preschool. Details here. The Anderson Robotics team will be hosting another fun Night of the Robots event for children K-5th grade on Friday, April 12, 2019 at 5:30pm. More details can be found here. Sign-up Here and get a date night while your kids have a wonderful learning experience. Check out these upcoming Kid Events to help foster reading and learning. The Austin Child Guidance Center (ACGC) is also offering their Walk-In Counseling Service Clinic. Children up to the age of 17 as well as other family members can be seen without having to wait for an appointment. Caregivers can be seen without their child to consult about problem behavior, seek advice or get direction. Family members can for be seen for one walk-in session or return for more. Services can be provided in English or Spanish. © 2019 by Summitt Elementary	/ Proudly powered by WordPress	/ Theme: thebox by design news1.